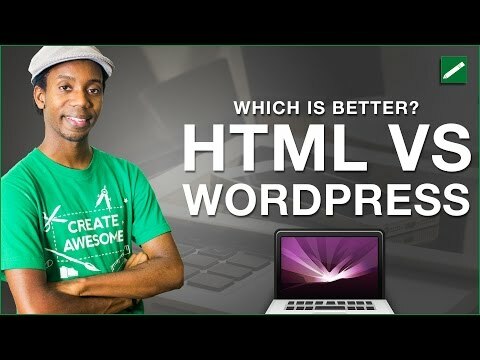 HTML vs WordPress, which one is better for web design? If you're a web designer today to be honest you'll need to know HTML/CSS and WordPress as well as several other skills to be successful. However there are valid reasons to use HTML or WordPress over the other depending on the situation and what you are trying to accomplish. I prefer for my own business website to prioritize HTML and PHP instead of content management system. However for a larger website/article based site or magazine or blog obviously WordPress and content management systems are superior. But one of the issues with WordPress is that there are some security risk when using free plugins and widgets. These can also break the look and feel of your website.